If the world knows you by your first name, you’ve definitely made it. Oprah is living proof that incredible success can happen even to the most unexpected of people and situations. If the world knows you by your first name, you’ve definitely made it. Oprah is living proof. The former talk show queen and media mogul is a major inspiration for entrepreneurs and leaders today, both men and women. 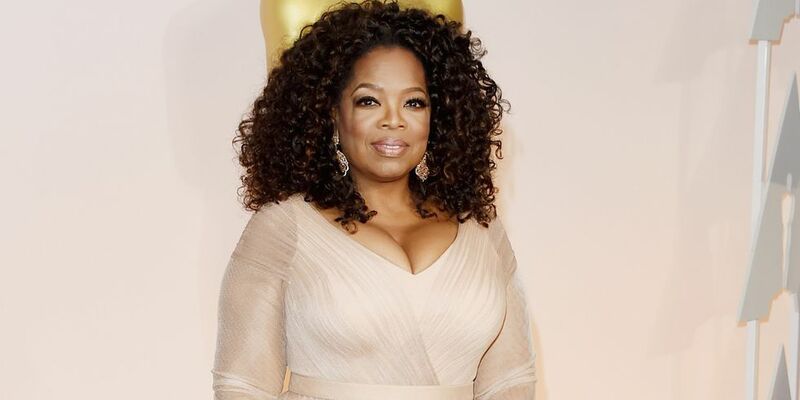 Her famous TV show, The Oprah Winfrey Show, aired for 25 seasons and remains the highest-rated talk show in American TV history, even though it ended its run in 2011. Today, Oprah is a film and television producer, philanthropist, actress, and owns her own TV network (called, funnily enough, OWN). She has built an empire and a devoted, diverse fan base. Her incredible accomplishments didn’t happen through luck, however. They were the result of hard work, persistence, and intuition. When you’re an entrepreneur, the competition is always out there. One of the main lessons we can learn from Oprah is to pay them no mind. In a podcast miniseries called “Making Oprah” (recapped on Business Insider), she talked about the success of The Oprah Winfrey Show and its subsequent string of competitors in the early ‘90s. She could have watched her competition like a hawk, but she realized that would only distract the show from being the best version of itself. The legacy of the show after it ended in 2011 speaks for how well that approach worked. The takeaway: Focus on your own growth – forget what the competition is doing. Run your own race. Oprah said this during her acceptance speech for the Cecil B. de Mille Award at the 2018 Golden Globe Awards Ceremony. To date, this powerful speech has been viewed over 10.8 million times. Maybe that’s because Oprah tells us to have courage, fight for what’s right, and be true to ourselves. She mentions women who spoke out or stood up for themselves in the speech, including Rosa Parks and Recy Taylor. To make it as an authentic leader online or off, this kind of bravery is essential. Even though it was the highest-rated TV talk show of all time, Oprah chose to end The Oprah Winfrey Show in 2011. It was a risk, but her gut told her it was time to “recalculate”, as she said in her 2013 Harvard commencement speech. This, right here, is why Oprah is one of the most successful women in the world. She picks herself up by her bootstraps and she does turn things around. She doesn’t accept defeat or failure – and neither should you. Another lesson from Oprah that ties into both life and work: Find meaning in what you do. Money is nice, success is a perk, but none of it will matter unless you can find some meaning in the work that brings you those things. For Oprah, her work isn’t about building a brand. It’s about serving others using her unique gifts. Everyone makes mistakes in life. Everybody takes wrong turns. It’s what you learn from those mistakes that will set you apart. Learn, listen, and move forward from your mistakes, your pain, and your failures. Turn them into something good. If you have ever watched Oprah on TV, during a speech, or in an interview, you may have noticed something important: She’s not afraid to laugh at herself. That means owning her mess-ups and flubs. It means understanding we’re all human, and none of us are perfect. If you have the resilience to laugh at yourself, you won’t be down for long. Look at where Oprah came from – she grew up in poverty, was sexually abused, and became pregnant at 14, bearing a son who died in infancy. From these rough beginnings, she climbed the ladder to become a mega-successful media mogul, one of the most powerful women in the world. If she wasn’t resilient and hard-working, if she couldn’t laugh at herself and move forward, she never could have reached such amazing heights. Life can be hard to bear. Take it from Oprah: Something as simple as laughter can lighten the load. Julia McCoy is the CEO of Express Writers, a content creation agency. She is the author of So You Think You Can Write? The Definitive Guide to Successful Online Writing and Practical Content Strategy & Marketing. She teaches an online course at The Content Strategy & Marketing Course.